NY Giants’ Daniel Fells recently suffered a nightmarish infection that resulting in his needing to have foot surgery seven times! At least two more future foot surgeries are scheduled. The player has been on the injured reserve since October 5th, which has been “a roller coaster” emotionally, his agent Ron Slavin told ESPN.1http://espn.go.com/nfl/story/_/id/13925618/daniel-fells-new-york-giants-seventh-surgery-two-more-scheduled He spent three weeks in the hospital and was unable to see his two children (ages 2 and 4), although his wife has slept by his bedside in a recliner every night. Fells came down with a MRSA foot infection, which is believed to be under control now, but will require future procedures to finish cleaning out the infected area and ensure that it does not return. What Happened to Daniel Fells? Team officials are unsure exactly how Fells contracted the treatment-resistant bacterial foot infection, but it all began with an ankle injury that occurred shortly after the second week of the NFL season. The initial injury didn’t appear bad, but he went in for a cortisone shot to alleviate the pain. Shortly thereafter, Fells’ condition quickly spiraled into a 104-degree fever requiring hospitalization. How Often Do Injuries Lead to an MRSA Foot Infection? You can take some consolation in knowing that what happened to Daniel Fells is the exception, rather than the rule. However, there can be danger if your medical practitioner does not take appropriate measures to limit the transmission of pathogens. For instance, in 2012, United Press International reported on a CDC investigation which found three MRSA-infected patients received pain steroid injections on the same day for arthritis or bursitis.6http://www.upi.com/Health_News/2012/07/12/Superbug-MRSA-linked-to-pain-injections/76091342151429/ The issue came when there was a medication vial shortage, causing single-use vials to be used for more than one patient. According to National Geographic, we know what needs to be done to prevent horrible outbreaks of MRSA.7http://phenomena.nationalgeographic.com/2015/10/15/mrsa-football/ These types of infections tend to occur when the five C’s are present: “crowding, skin-to-skin contact, compromised skin from cuts or abrasions, contaminated items and surfaces, and lack of cleanliness.” It’s likely that the infection was picked up somewhere in the locker room or on the field and then made its way into the body when the skin barrier was punctured. 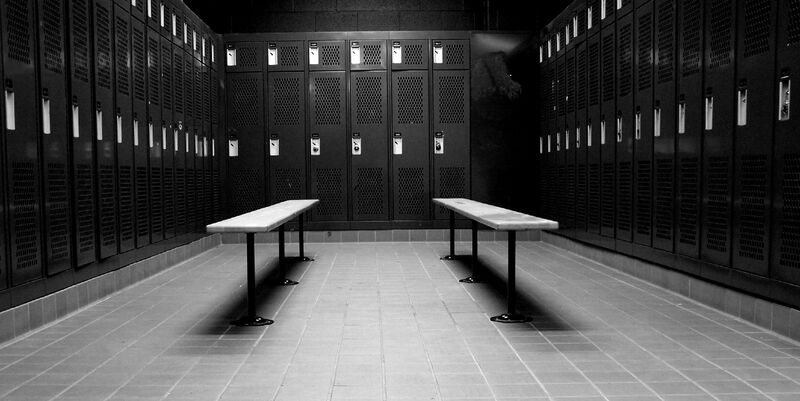 To stop rampant infection epidemics among the Trojans, Rams, and Redskins from 2002-2006, local health departments required disinfecting of training equipment, massage tables, hydrotherapy tubs, benches, and lockers. Players were required to shower after every game and were dissuaded from shaving. The water temperatures in the laundry machines were increased and players were instructed to never share soap or towels. Though the processes were effective, MRSA prevention routines like this are not standard across the NFL. So, for now, more players are at risk of suffering a similar fate to Fells. As for you, there is no need to avoid cortisone shots or feel anxious about developing MRSA from sports participation. However, it pays to observe or ask whether your single-use vial has been used on another patient. Forbes says you should also wash your hands regularly and use sanitizer at the gym.8http://www.forbes.com/sites/judystone/2015/10/13/how-you-can-avoid-daniel-fells-mrsa-plight/ Avoid sharing bar soap and towels with others. If you develop a cut — no matter how big or small — be sure to cleanse it with antiseptic and keep it clean and dry. If you have been injured playing sports, don’t trust your health to any old clinic. Come see the best at The Center for Podiatric Care and Sports Medicine. We take special precautions to ensure sanitization and sterility in our NYC sports medicine clinics. We know how to address acute injuries and detect the presence of infection. Contact us if you have any questions or concerns.